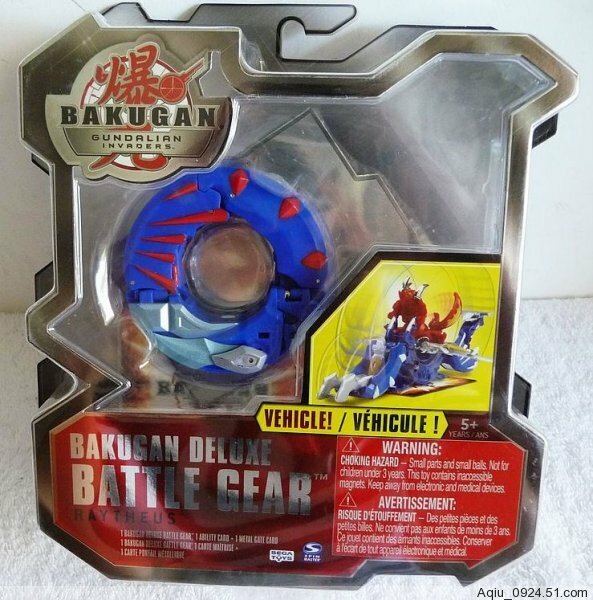 We can consider the Bakugan Mobile Assault a different breed of Bakugan Battle Gear. They are very different from the battle gears we have come across so far. 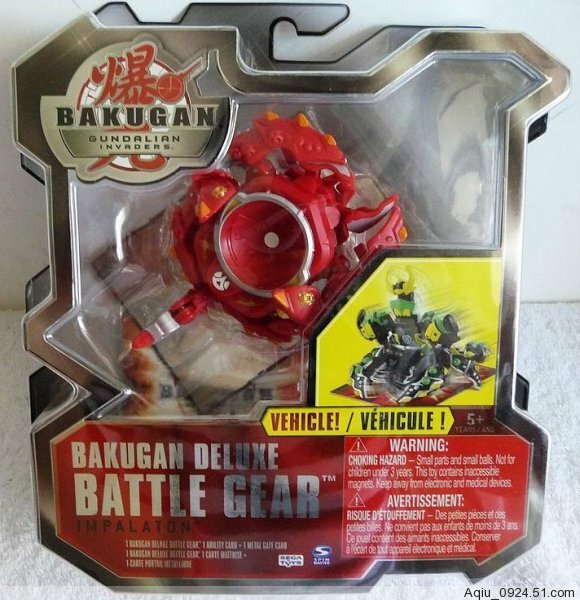 Normally, battle gears are placed on top of the Bakugan. 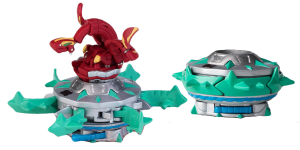 But with the Mobile Assault, it is the Bakugan that is placed on top. They are generally vehicles in a sense. 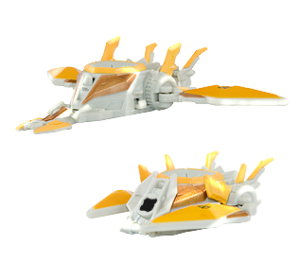 It also looks like the the Bakugan Mobile Assault follow the six attributes of Pyrus, Aquos, Haos, Darkus, Ventus, and Subterra.This is in contrast to the normal attributes of Battle Gears which are Gold, Silver, and Copper. 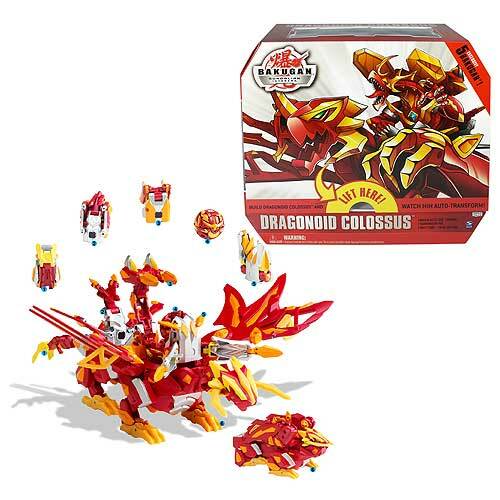 The exceptions in this case are the Colossus Bakugan (considered to be the third season's Ultimate Weapons), where the battle gears of Dharak Colossus and Dragonoid Colossus retain the three battle gear attributes. Putting the Colossus Bakugan aside, three Mobile Assault have surfaced so far. 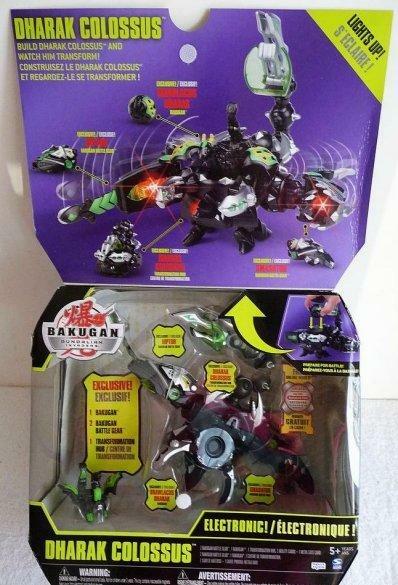 In February 2011, among the first wave of the season 4 Mechtanium Surge Bakugan were two new Bakugan Mobile Assault along with a newly packaged Raytheus. These Mechtanium Surge Mobile Assaults are in diecast metal, as are all the Mechtanium Surge Bakugan. The packaging is also now different from the previous season, as is shown below. 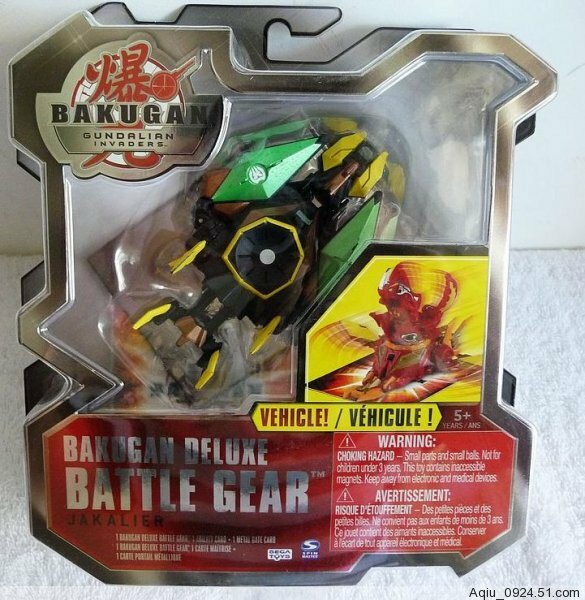 Ride in to battle with die cast Bakugan Mobile Assault vehicles. 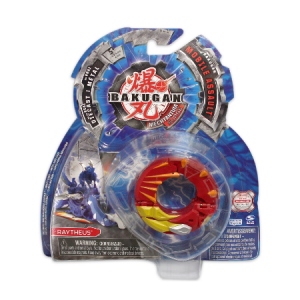 Transport Bakugan into Battle and give your Bakugan a G-power boost! Remember that you can only use a maximum of two Bakugan supports --- 2 BMAs, or 1 Battle Gear and 1 BMA, or 1 Bakugan Trap and 1 BMA. At the start of a battle, place a Bakugan (magnet side down) on the Mobile Assault. The Bakugan has to have the same Attribute as the Mobile Assault. To start the battle, roll the combined form of the Bakugan and Mobile Assault onto the Gate card. In battle, the Bakugan gains the G-Power of the Mobile Assualt if the type of Gate card used is listed on the Mobile Assualt's reference card. There are three types of Gates --- Gold, Silver, and Copper --- and two types are listed on the reference card. If the Gate card does not match the types listed on the Mobile Assault's reference card, then the Mobile Assault is destroyed and removed from the game. The Bakugan will be left on the Gate card to continued the battle without any help from the Mobile Assault. You can use any Bakugan on a Mobile Assault just as long as it has the same Attribute of the Mobile Assault. 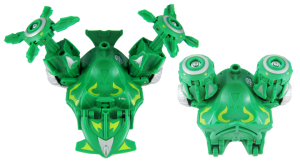 The Bakugan Mobile Assault also have a unique DNA Code on them that you can use in Bakugan Dimensions. You can upload the Mobile Assault and add it to your online collection, allowing you to use it in your online battles. 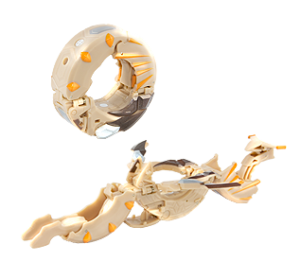 These two are like the combined Maxus Bakugan, hence they are considered to be the Ultimate Weapons of the season 3. Dharak Colossus and Dragonoid Colossus are Mobile Assault Vehicles that are a combination of more than one battle gear. 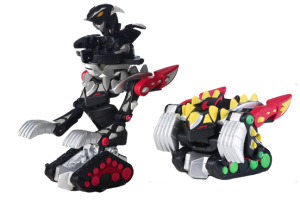 The Core Bakugan, Brawlacus Dharak and Battalix Dragonoid, then stands atop the fully assembled vehicles. The Dharak Colossus is a Toys R Us exclusive. What seems to be the Impalaton is shown at the beginning of the episode where the Gundalians were searching for the Element. The Glotronoids was seen riding a Darkus Impalaton in their search. Emperor Barodius joined in destroying Neathia's shield with Dharak using the Dharak Colossus. The second shield was completely broken with only one powerful attack from the Dharak Colossus. This episode fully introduced the Mobile Assault Vehicles. Impalaton was shown for the second time, and this time proved to be a serious threat against the brawlers. To combat the Impalaton, Drago was equipped with a Mobile Assault on his own --- the Raytheus. This episode brought out the Colossus Bakugan of the heroes' side, the Dragonoid Colossus. The brawlers still have no idea about Drgaonoid Colossus at this time because everyone was distracted with Linehalt's hidden power, and Dan was unconscious when Dragonoid Colossus went inside his Bakumeter. Dan used the Jakalier to boost Drago's strength in his battle against the Dragonoid Colossus. 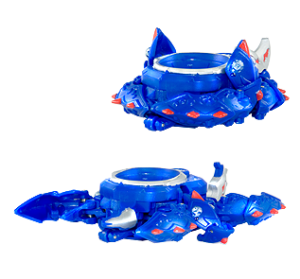 Purchase Bakugan Mobile Assault Vehicles Below.